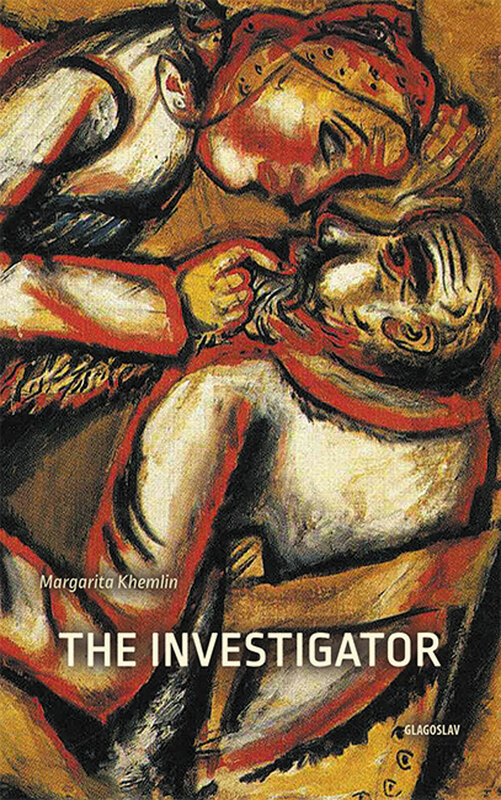 "The Investigator" (Glagoslav, 2015), Jewish author Margarita Khemlin’s final novel, is a typically polyphonic work exploring questions of national identity and how we collectively assimilate past trauma. Mikhail Tsupkoy is a retired police investigator recalling a murder case from the early 1950s. Through his methodical narrative he pieces together fragments of his own life and the community’s traumatic shared history. Khemlin’s work, rendered excellently in Melanie Moore’s thoughtful translation, introduces the reader to a diverse range of townsfolk, who all play a role in assisting, obscuring or mirroring Tsupkoy’s search for meaning and resolution. Set in the Ukrainian SSR, The Investigatoris rooted in a specific time and place. Lilia Vorobeichik’s death is given as 18 May 1952, barely 10 months before the death of Stalin, whose rule brought untold suffering to the region. The forced collectivization of the late 1920s and ensuing Holodomor, a man-made famine that claimed the lives of up to seven million Ukrainians, was swiftly followed by the brutal Nazi occupation. Margarita Khemlin was born in Chernigov (where The Investigator is partially set) in the Ukrainian SSR on 6 July, 1960, before going on to study and live in Moscow, where she died on 24 October, 2015.She is known for her use of the “skaz” style of writing, using slang and local dialect to tease out individual characters' personalities. In 2009 was shortlisted for the Russian Booker prize for Klotsvog, her first novel and best-known work. The Investigator was also shortlisted for this prize. These graphic interludes build a picture of the community’s struggle to come to terms with the past, while still at the mercy of political and economic forces beyond its control. Each character has their own private pain and this manifests itself in a tangled web of scheming and lies that Tsupkoy must navigate. Tsupkoy himself has an ambiguous relationship to these simmering issues. He veers from a pragmatic acceptance of Jewish national identity to open anti-Semitism. In a moment of anger he calls the Jews “bloodsuckers”, later describing one character as “wailing his prayers … complete with snivels.” In typically contradictory fashion, he then displays a flash of humanity by placing the headgear properly on a dead body: “in life, the man had observed his Jewish rules, let there be order in death as well.” Despite his bluster – “destiny is something you make for yourself” – Tsupkoy is ultimately as caught up in the turmoil of the age as those he is investigating. The Stalinist state is always hovering in the margins. Characters know that “if they come for you through a letter or whatever, there’ll be no paying them off” and use official terms such as “parasitic element”. Yet, despite the state’s best efforts, this is still a world where there was recently the belief that money multiplies if it is kept hidden. Tsupkoy embodies these tensions. In his own words “a Communist through and through” who has gained “all I need” from Soviet power, he is at once a representative of the all-powerful state, and an individual who is not immune from the small town gossip his investigation unleashes. Behind all these manifold interactions and insinuations is the uneasy truce between the state and the Jewish community, constantly suspected of nationalism, or worse. This creates a conflicted, paranoid atmosphere, where characters debate whether the state would protect them during another war and “the truth” is a flexible commodity. Nothing is as it seems in The Investigator’s world. “People are puzzled,” says one character, “everything’s a muddle.” As we gradually learn more about this close-knit community, its past and Mikhail Tsupkoy himself, we see just how true this is.